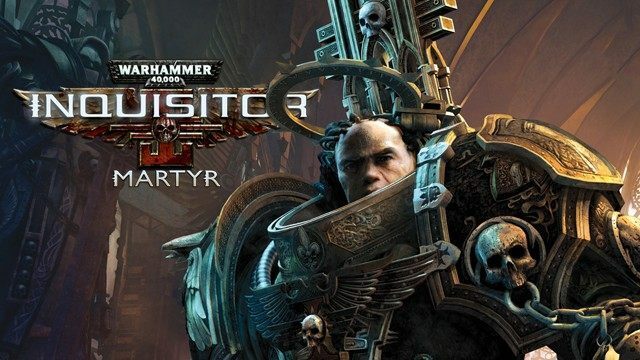 Gameplay-facilitating trainer for Warhammer 40,000: Inquisitor - Martyr . This trainer may not necessarily work with your copy of the game. Numpad 2: Unlimited Focus/Adrenaline - toggle on and your skills meter attempts to remain full. For some skills, it's best to leave this off until you need focus, then toggle on, then toggle back off once it is full. Available here: Warhammer 40K: Inquisitor Martyr Trainer. Numpad 3: No Reload - toggle on and many weapons that have ammo are unlimited. Numpad 4: Unlimited Grenades - toggle off and grenades and possibly other throwable objects are unlimited. Numpad 5: No Heat Generated - toggle on and items that generate heat do not generate heat in most circumstances. Numpad 6: Fast Cooldowns - toggle on and many skills cooldown more quickly to be able to be used again. Numpad 7: Easy Kills - toggle on and many lower creatures will die quickly when attacked. May not work on all creatures or boss creatures. Numpad 9: End Mission Credits - toggle this on during the mission and leave it on. When you pick up some credits that are dropped during the mission, you will have that amount of credits added at the end of the mission. Alternately, you can turn it on, collect credits once, then turn it off and you will have the amount shown in the trainer, plus any more credits you pick up.